Fig. 1. Flow diagram of patient enrollment. 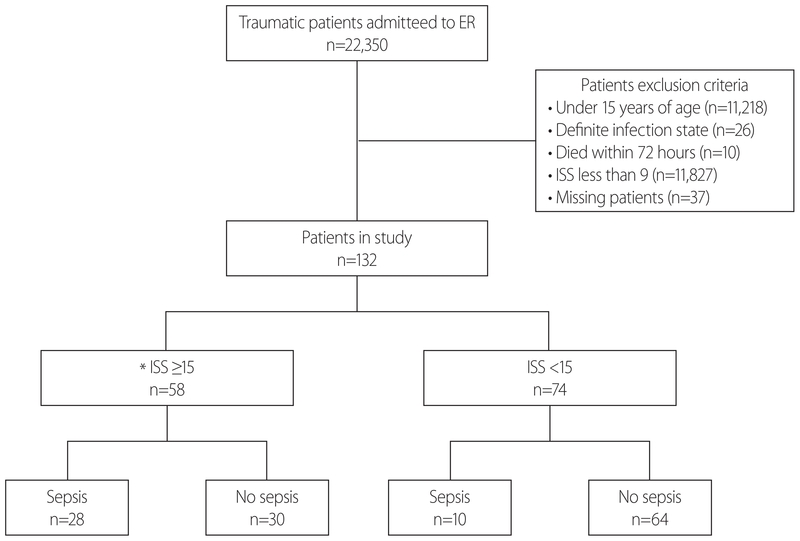 ER: emergency room, ISS: injury severity score.